The opening round of the 2012 Tournament of Pizza -- sponsored by Sunmark Federal Credit Union -- starts in Saratoga. The first match of Round 1 and we already have a bracket champ fall. A strong start for the longtime Saratoga favorite. 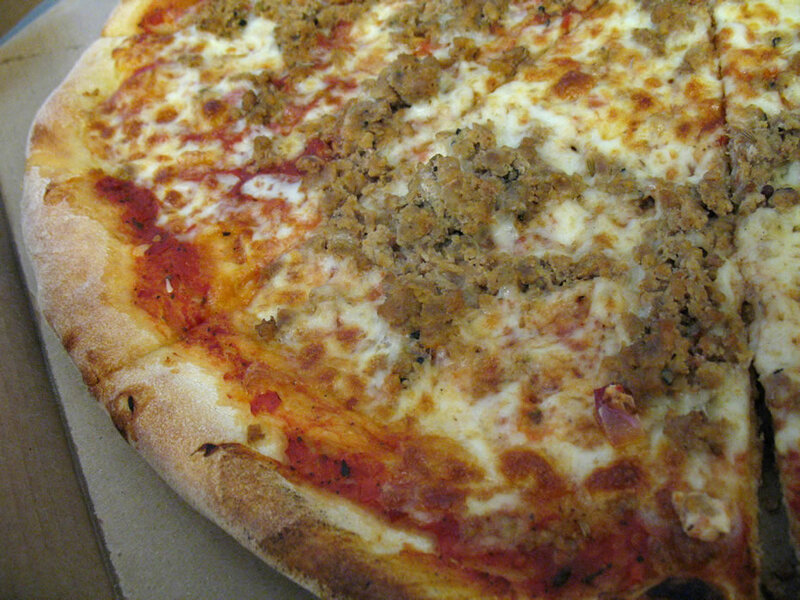 The judges praised the balance of Pope's pizza, and the "porkiness" of its crumbled sausage. A few things to keep an eye on though -- a few judges noted that they thought the pizza was a touch underdone, and other thought the cheese was a little too dominant. A solid opening score for the shop that occupies the former Nunzio's location. 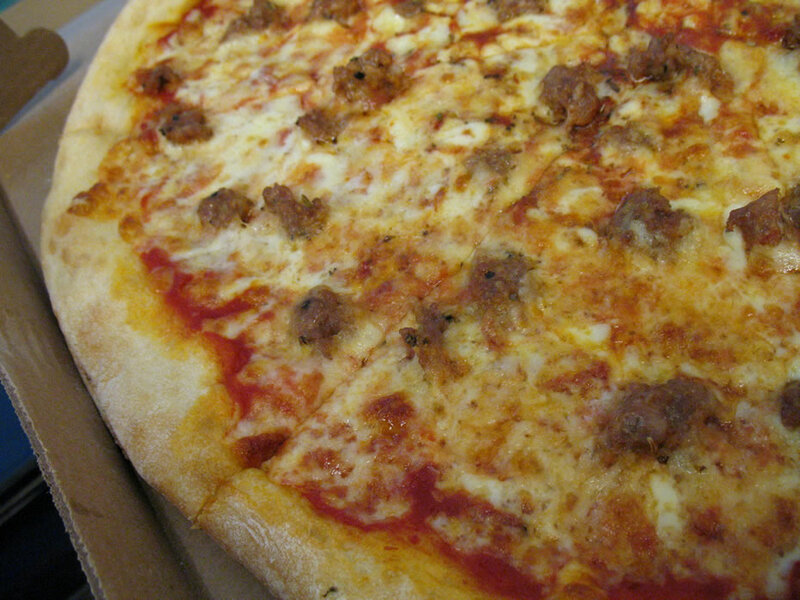 One judge called Amore's pizza "delicious, rich, savory, a little sweet," and another called it "sweet and meaty" while praising the "bright and warm" sauce. 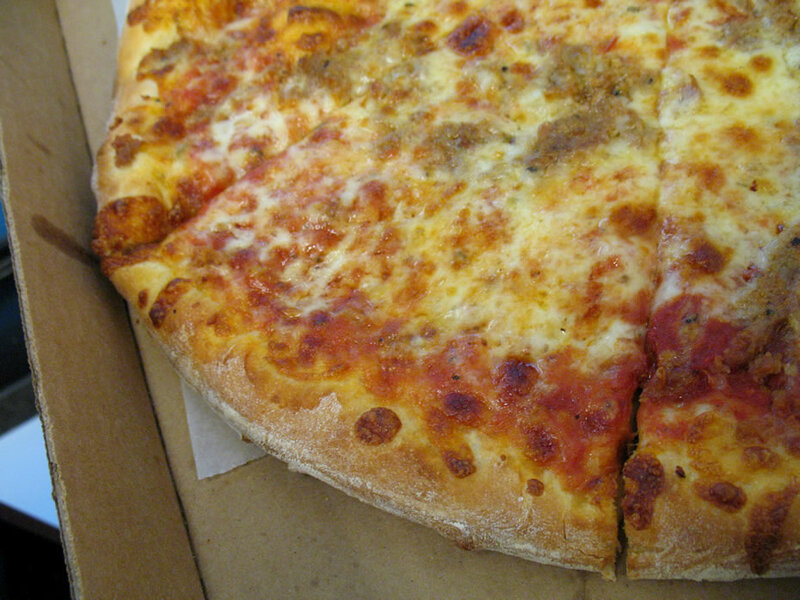 Not so good -- one judge called Amore's pizza's "very oily" another said the cheese to sauce ratio was off balance. Things started well for the defending champ. 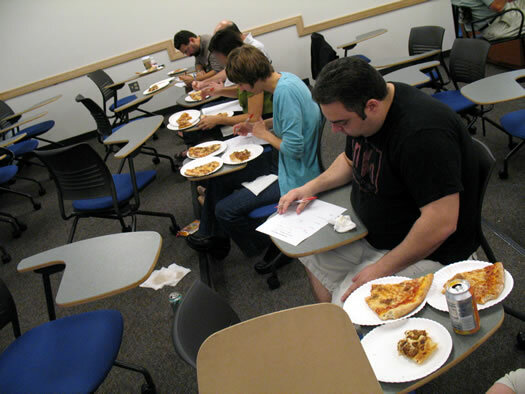 Judges praised Mama Mia's pizza crust -- two said it was the best of the four pizzas. But Mama Mia's just couldn't score enough points in the other categories. The judges weren't fans of the sauce -- "peppery and sparse," "too many spices." And judges criticized the toppings for being dry. Mama Mia's didn't turn out a bad pizza -- in fact, one judge gave it their high score of the round -- it just wasn't quite enough to make it through. 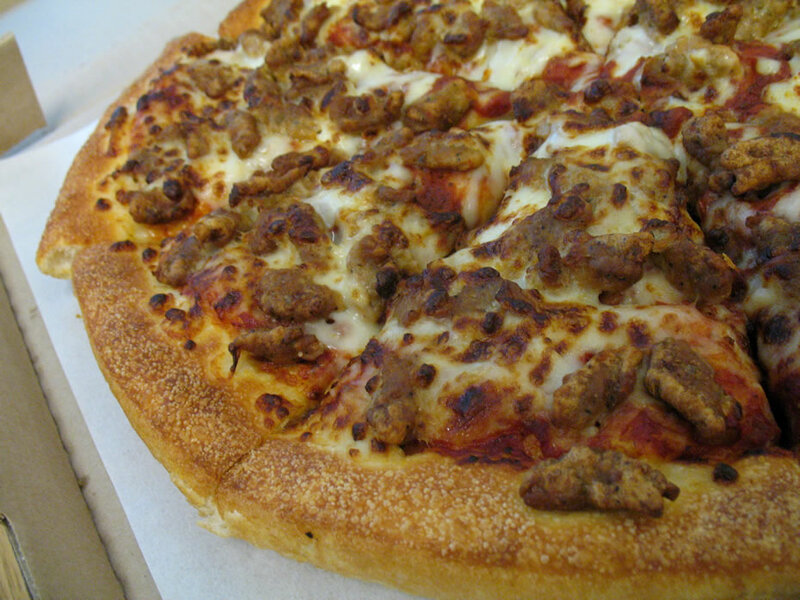 And the mystery entry in this bracket is... Pizza Hut. Yep, the chain. What??!?! (The outrage!) Here's the thing: a lot of people eat this pizza, and the TOP provides an opportunity to taste it blind against solid local shops. And after doing so, we can say with some evidence... it's not that good (but we've had local shops score much worse). One judge called the Hut's crust "poofy" and another called it "fluffy" -- though one described it as "pleasantly oily." Its sauce did not score well -- judges called it "metallic" and lacking "real tomato flavor." The sausage was called "squishy" and "spongy," the cheese "bland/flavorless." But one judge said all the ingredients were nicely balanced -- and commented on their score sheet, "Reminds me of Pizza Hut." So, Pope's and Amore advance. They'll face off in Round 2. Tomorrow: the Tournament of Pizza heads to Schenectady. 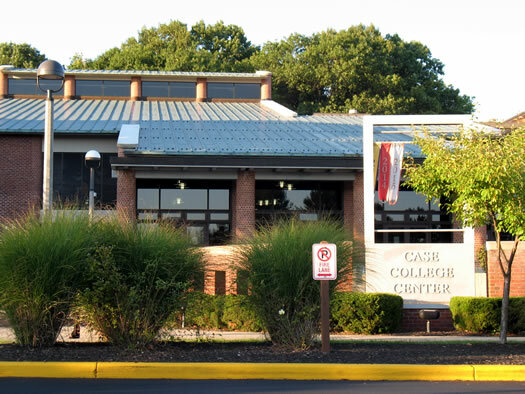 Many thanks to Skidmore College, and Bobby Carlton especially, for hosting the TOP at the Case Center. Ha ha ha! Scrolling through the close-ups before I read the reviews, I thought to myself "wow, that mystery pizza looks exactly like a Pizza Hut pizza." Proof positive that a childhood filled with bad pizza does, indeed, scar you for life. Many thanks for including the close-up views of the pies in question this year. Why no Caputo's? They make an excellent pie!!! !